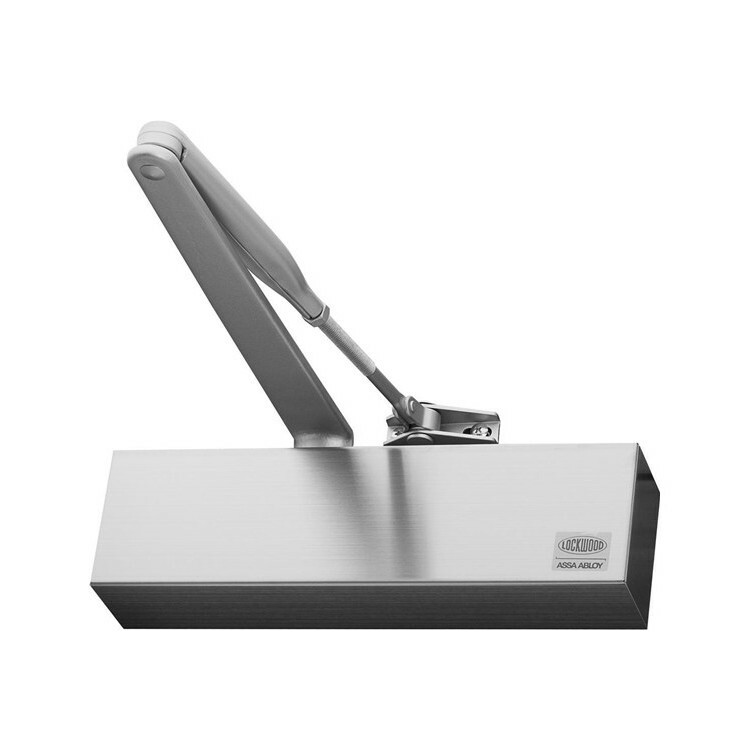 Rack and Pinion adjustable power door closer suitable for architectural and commercial applications. Power EN adjustable 2 to 6. Hold Open Adjustable. Hold-open can be set at any angle up to 150° of opening. Materials Extruded aluminium body manufactured from high-performance silicon alloy. Mechanism Rack and pinion design. Mounting Regular, parallel and over-door mounting. Valves Two pressure relief valves are a standard feature to protect against abuse. The Lockwood 7726DA series closer has been successfully tested upto four hours (depending on type of doorset) on fire door assemblies in accordance with Australian Standard AS1905.1:2005, Part: Fire Resistant Door sets. Note: Hold open option is not approved on any fire door.